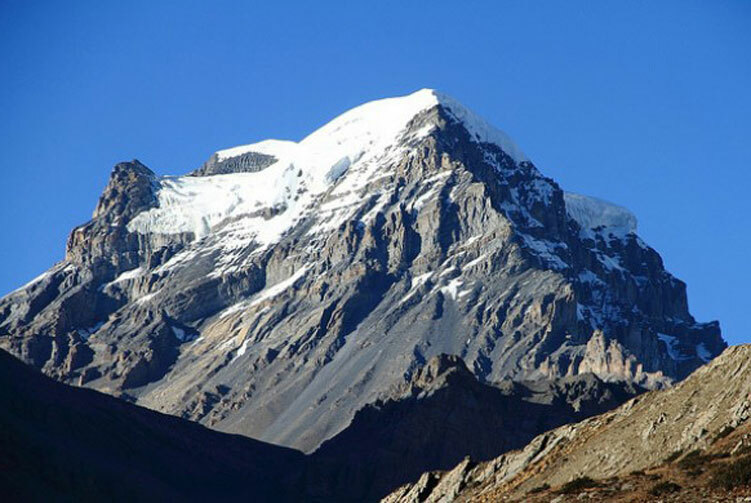 Pisang Peak Climbing trip is another beautiful trekking and climbing adventure in the Annapurna range of the Himalayas. A marvelous combination of climbing the Pisang peak and trekking around Annapurna Circuit, this trip is one of the most beautiful adventure trips in the Annapurna. 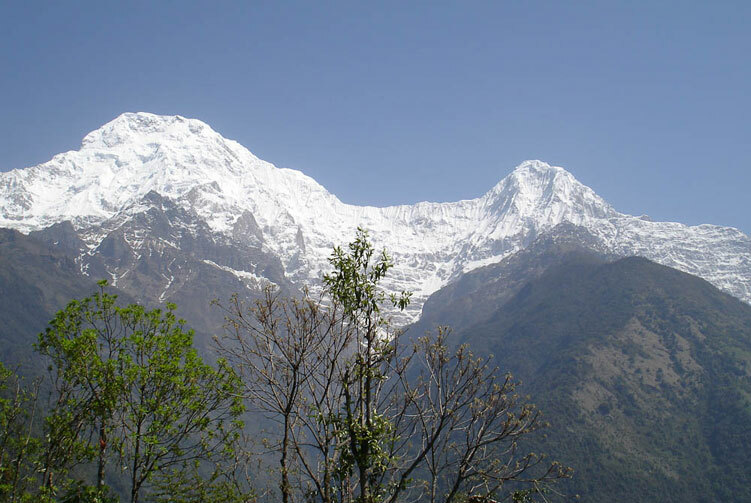 Pisang peak, also called Jong Ri, that lies in the Annapurna region is a beautiful 6,091 meters mountain peak. This wonderful peak is reached after trekking half way through up to Pisang on the Annapurna Circuit trail and taking a different route towards the Pisang peak base camp. 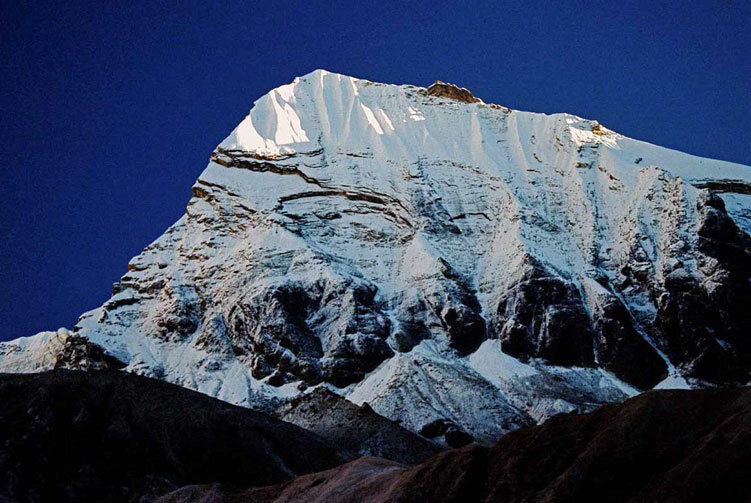 After a German expedition team climbed this mountain in 1,955, several climbers have already summited this peak. 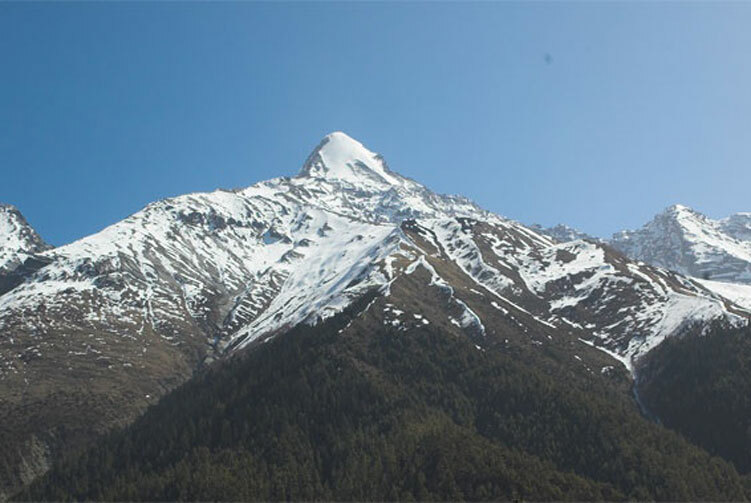 Seasoned trekkers and amateur climbers can climb this beautiful pyramidal peak. Traversing the Marshyangdi River valley up towards Pisang peak only warms the adventurers up for the summit adventure. After climbing the peak, the trek continues towards Manang valley and crosses Thorong La pass at the elevation of 5,416 meters above sea level before trekking back down to Jomsom. It�s day we trek to Pisang peak base camp for our Pisang peak climbing adventure. Our trek today takes us for over 1,000 meters of elevation gain when we reach the base camp. The trail passes through tiny villages, wooded parts and pastures. We will make it to the base camp a little early in the afternoon so, we will have plenty of time to soak into the atmosphere of base camp. Once we settle into our camp, we can take some strolls around to enjoy the charm of the place and also to acclimatize with the growing elevation. It is another day of big elevation gain, of another about 1,000 meters, when we trek up to the high camp. The adventurous day takes us up in the mountain where we plod up towards the destination for the day. Once we reach the high camp, we settle into our camp and spend the day praising the views and nature and adjusting with the increasing elevation and decreasing level of oxygen in the air. As the main day of the trip, we get ready early, much before the day light breaks, for the summit climb. The rocky face of the mountain brings us a tough challenge to climb through where we need to use fixed ropes and main rope to climb. As the struggle up is over and reach the top, we are greeted with spectacular views of the mountains in the vicinity. We enjoy the view and the moments at the top the most before descending all the way back down to base camp. It's an extra day to compensate any possible delays on the summit climb. If we do not use this day, we will trek to Manang today. If we use the contingency day, we trek to Manang today. We trek along the trail towards Manang valley and pass through tiny and beautiful villages and wooded sections. When we reach Manang village we will have time to explore around the beautiful village. It�s a challenging day today but definitely a worth taking it. Our day starts before the break of the dawn higher towards the pass. About three hours of slow paced struggle towards Thorang La, through several false passes along the trail, eventually takes us to the spectacular pass that stands at 5,416 meters above sea level. We spend some moments there taking pictures and enjoying the view around. We walk on the wonderful landscape of lower Mustang region along the stretch of Muktinath to Jomsom. Initially, the trail descends to Kagbeni village on the bank of Kali Gandaki River through several beautiful places with spectacular view. From Kagbeni onwards, we trek along the Kali Gandaki River to Jomsom. The trail can get windy during the afternoon as it lies in the valley between two gigantic mountain ranges � Dhaulagiri and Annapurna. Once we reach Jomsom, we can laze around the beautiful town. Day 16: Fly back to Pokhara, Check in Hotel. We take early morning breakfast and go to airport to board the flight to Pokhara. Another short but spectacular flight takes us to Pokhara. Once we check into hotel, we will have free time to relax and enjoy time on our own. The easy laze around helps us get some relief from the tiredness of walking through the rough and weathered terrain of upper Mustang for several days. Transportation from Kathmandu-Syange by Private Jeep. Flight Ticket from Jomsom to Pokhara with airport TAX. 1 Night Tourist Standard Accmmodation in Pokhara with B/B basis. Transportation from Pokhara-Kathmandu by Tourist Coach. Accommodation in Tented Camp while on Pisang peak base camp. Pisang Peak Climbing permits, TIMS Card fees and Annapurna Conservation Area Entrance fees. Pisang peak expedition group climbing gear, climbing rope, snow bars & carabineers etc. We offer you the best price guaranteed for Pisang Peak Climbing Expedition. Pisang Peak Climbing Route Map: Approx.